Here at Mike Vaughan Cycles, we think that the various government Cycle to Work schemes have been a great benefit to all, from employees right through to their employers. We’ve been dealing with Cyclescheme for over 10 years, yet this is one of the several schemes we work with; including Bike2Work and Halfords Schemes. We also supply bikes to employees of various NHS Trusts through SME HCI. Since we’ve been live with Cyclescheme, we’ve supplied £2million worth of bikes and accessories to thousands of customers in the area. 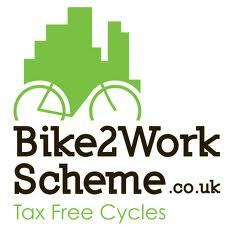 So what is a Cycle to Work Scheme? To promote healthier journeys to work and to reduce environmental pollution, the 1999 Finance Act introduced an annual tax exemption, which allows employers to loan cycles and cyclists’ safety equipment to employees as a tax-free benefit. The exemption was one of a series of measures introduced under the Government’s Green Transport Plan. The following guidelines clarify how organisations can take advantage of the exemption to implement a Cycle to Work scheme that encourages employees to cycle to work and allows employers to reap the benefits of a healthier workforce. Cycle to Work schemes are in essence a salary sacrifice scheme, whereby the cost of the bicycle (& accessories) are take out of your wages before tax and National Insurance are applied. This allows you on average, depending on your tax rate, to save between 32% and 42% on the cost of your bicycle. Employers also benefit from this scheme, saving on National Insurance Contributions. How can I get a bicycle through Cycle to Work Scheme? Find out if your employer is signed up to one of the various schemes. If not, ask them why not! If you are self-empoyed, yet are paid through PAYE, speak to your accountant. This is the same for any smaller business where an administration company (such as Cyclescheme) is not necessary. If you’re signed up, then come in and talk to us about the bike that you want. We’ll advise you on what’s the most suitable for your needs and kit you up with any accessories. (Please note there are some exceptions to accessories allowed on a Cycle to Work Scheme.) Most employers are restricted by their consumer credit licence which allows you to spend up to £1000, but this does not apply to every employer. 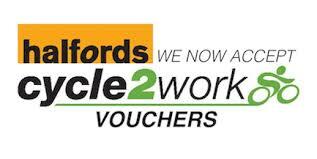 Once you’ve chosen your bike we’ll write you a quotation and take a £50 refundable deposit to secure your bike. Depending on the scheme, you then submit your quotation (some schemes allow you to do this online – check with your employer). Once your quotation has been submitted and approved, you’ll get sent a Certificate or Letter of Collection. Once you have this physically in your hand, please give us a call to arrange your bicycle to be built and kitted out. When your bike’s ready come in to see us again, bring your Certificate or LoC and some photo ID. We’ll get it all signed up, refund your deposit and away you go! Your payments for the bicycle will then be taken from your wages by your employer. This is a very brief overview of how the scheme works, if you have any questions, please give us a call on 01926 853944 and we’ll be happy to advise you.